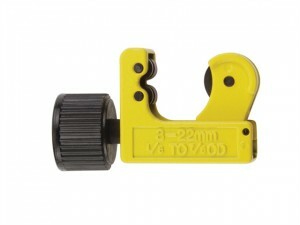 RIDGID Screw Feed No.20 Tubing and Conduit Cutter Capacity: 16-54mm (5/8 - 2.1/8in)Std. Wheel: F-158.Weight: 0.79kg. 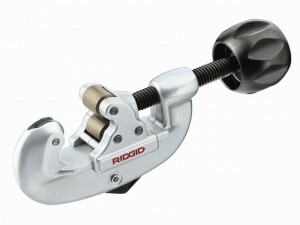 RIDGID Screw Feed No.15 Tubing and Conduit Cutter Capacity: 5-28mm (3/16 - 1.1/8in).Std. Wheel: F-158.Weight: 0.68kg. 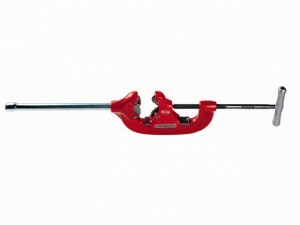 RIDGID Screw Feed No.10 Heavy-Duty Tubing and Conduit Cutter Capacity: 3-25mm (1/8 - 1in).Std. Wheel: E-1240.Weight: 0.40kg. 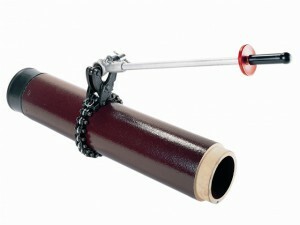 RIDGID Screw Feed No.10 Tubing and Conduit Cutter Capacity: 3-25mm (1/8 - 1in).Std. Wheel: F-158.Weight: 0.40kg. 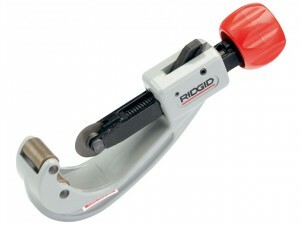 RIDGID 44-S Heavy-Duty Pipe Cutter (USA Type) Capacity: 65-100mm (2.1/2 - 4in).Weight: 9.1kg. 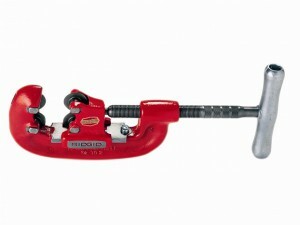 RIDGID 42-A Heavy-Duty 4 Wheel Pipe Cutter Capacity: 20-50mm (3/4 - 2in).Weight: 3.1kg. RIDGID Screw Feed No.30 Tubing and Conduit Cutter Capacity: 25-79mm (1 - 3.1/8in).Std. Wheel: F-158.Weight: 1.60kg. 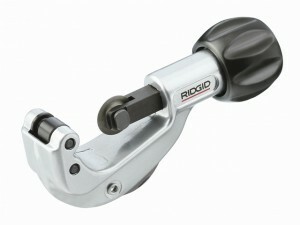 RIDGID 205 Ratcheting Enclosed Feed Tube Cutter Capacity: 6-60mm (1/4 - 2.3/8in).Weight: 0.91kg. 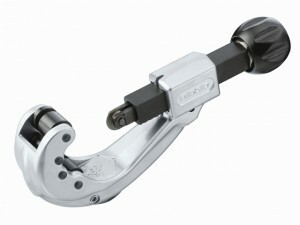 The RIDGID Stainless Steel Tubing & Conduit Cutter has been designed for optimised performance on Stainless Steel tubes. RIDGID 66737 Constant Swing 150L Tube Cutter Std. 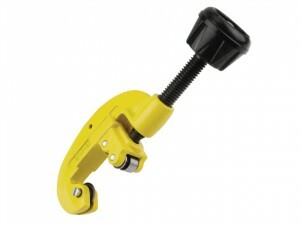 Wheel: E-3469.Capacity: 3-35mm (1/8 - 1.3/8in).Weight: 0.44kg.